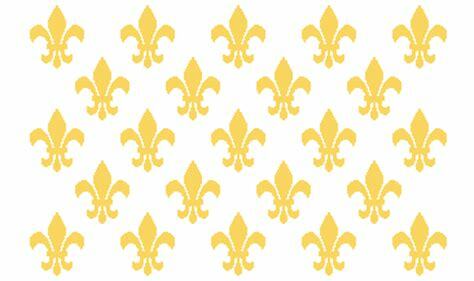 First of all, thank you very much to all the nice people who wished me a happy "Bastille day" this past weekend. The intention is what really counts. While I am very happy to celebrate the National Day of my country of origin, just ten days after celebrating my country of adoption National Day, it is always for me a sweet and sour experience. I shall try to explain you why. The blood thirsty crowd subsequently massacred the governor of the place and several other individuals. to transform the Estates in a popular Assembly of representatives. The King poorly advised and not wanting to be harsh against his people, took a series of bad decisions, while the radical members of the assembly, mostly led by the growing free masons, started arming the populace, creating a national guard, raiding arms cache, and becoming more and more confrontational. With this first stroke, the Constitutional government eradicated 1200 years of traditional laws, regional languages and any treaty signed by the kingdom during that period. Historians have been able to trace many of these texts to the influence of England through the widespread use of the Masonic Lodges, but also through the purchase of allegiance of key politicians. From there on, the Constitutional Assembly, and its Masonic controlled members embarked in a dechristianolization of the country. The Masons, encouraged by Britain, were hellbent on eradicating the influence of the Catholic Church in what was at the time, the most powerful Kingdom in Continental Europe. 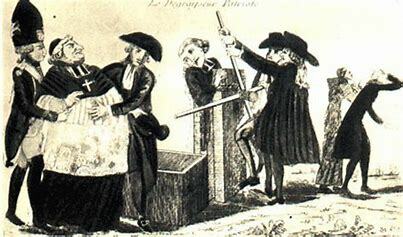 On October 10th 1789, the National Constituent Assembly declared the nationalization of all Church properties, and their sale through "assignats"
Almost a year after "Bastille day" on July 12th 1790, the same assembly passed the "Civil constitution of the Clergy" subjecting the Church to a subordination to the French Government. (the Chinese Communists are just copying the french revolutionaries). Propaganda was widespread in the gazettes, to denigrate the Church at every turn. From 1790 to 1792 the climate deteriorated at great speed. First the Clergy was to get paid by the Government, based on their level of responsibility (This is still in place to this day). 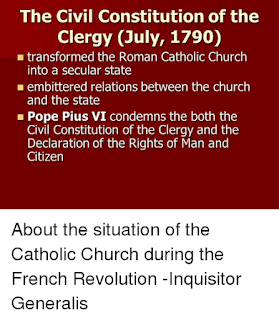 Then as the Pope refused to recognize these moves, on November 27th 1790 the Government demanded that all Clergy took an oath of loyalty to the Constitution, or face loosing their post and salaries. This was going to lead to an open revolt against the Council, and the radicalization of the Assembly which would lead to the end of the Monarchy and the establishment of the first republic. Many priests, were caught in that difficult situation of taking the oath or not. 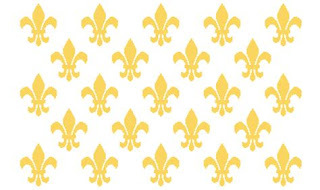 A large number of priests and bishops fled France and joined the "emigres" nobles and others that had already fled. counterrevolutionaries. This period is known as the reign of terror. After the fall of the Monarchy in August of 1792, the Legislative Assembly decreed the end of all religious orders, including the totality of the Hospital orders. Prussia having joined Austria and the Emigres against the Republic, The power of Paris panicked and radicalized. In September of that year, the republicans unleashed the crowds against the prisons of Paris, where were detained "unfriendly" persons. In a matter of three days over 1200 people were pulled out of their cells and massacred with knives, pikes, bludgeons and other crude devices, including 200 priests, and 3 Bishops. This was followed by a bloodletting against priests, that even the soviets would not replicate. 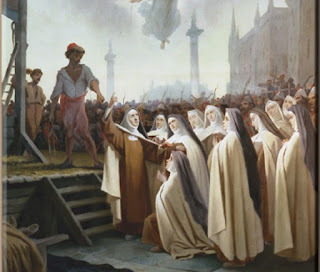 In Nantes, Carrier organized the mass drownings of Priest and Nuns in the Loire river. Barras in Marseille, Tallien in Bordeaux, and many others engaged in horrible massacres. 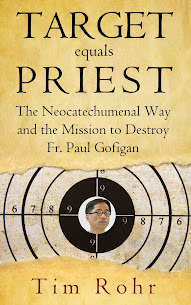 Non swearing priests, were condemned to 10 years in Prison in French Guyana, were most died in horrible conditions. Soon the Vendee and other regions were rebelling against this and the mandatory military service. In Vendee and Britanny the movement was helped by the British (again) just enough to create trouble but not enough to achieve victory. 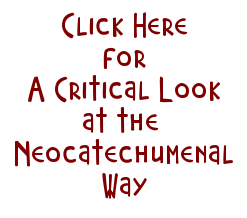 The paroxysm of these violence is best embodied by the Vendee Genocide. The Vendee region located 300 miles from Paris, South of the Loire River and North of Bordeaux, was a far cry from the madness of Paris. 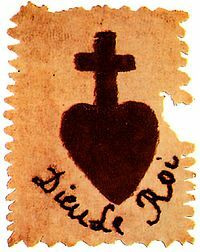 But it became the martyr and symbol of the bloodletting against Catholics. 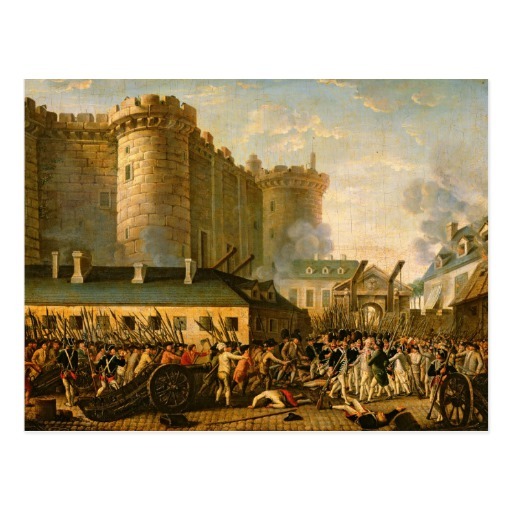 Around March of 1793, many parts of western France were revolting against the mandatory conscription of young men. Representatives of the Republic were manhandled and chased where ever and when ever they showed up. Soon hundreds and thousands were getting organized , often going to look for old non commissioned officers of the former royal armies, or the small noblemen that felt compelled by "their" people to lead them. Poorly armed, they swept through the west of France from Vendee to Normandy, defeating several republican armies, but being betrayed by the British in Normandy, which led to the slow but inexorable, bloody retreat back to Vendee. In Britanny, several small battles and subsequent reprisals lasted for over a year and continued sporadically. The revolutionary council would ultimately unleash the full power of its military might. With the creation of the infernal columns who were instructed to kill everyone and everything, and burn everything. It is estimated that close to one million people were killed in the Vendee campaign. The persecution of Catholics would last until 1801, which saw the signature of the "Concordat" an agreement between Napoleon and the Pope. Subsequently the Catholic Church has faced many challenges in France ever since, and continues to be greatly discriminated against to this day. 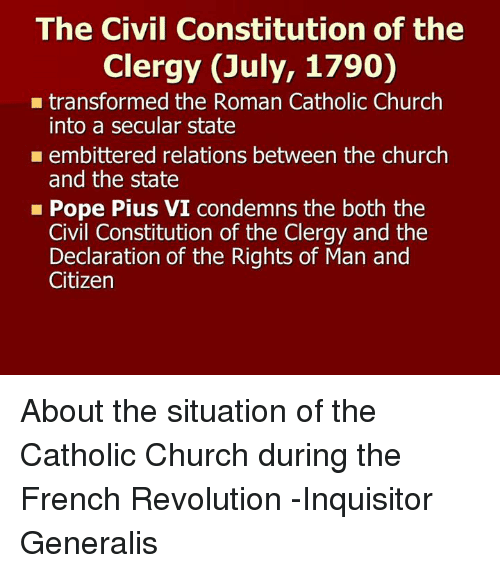 This is why, while I am happy to celebrate the French National day, it is for me as a Catholic, a bitter sweet celebration, because it also means the beginning of a process of elimination of the Catholic presence in my country of origin. Labels: French Revolution, the Catholic Church. The Masons. Wow! Thank you for the history lesson.